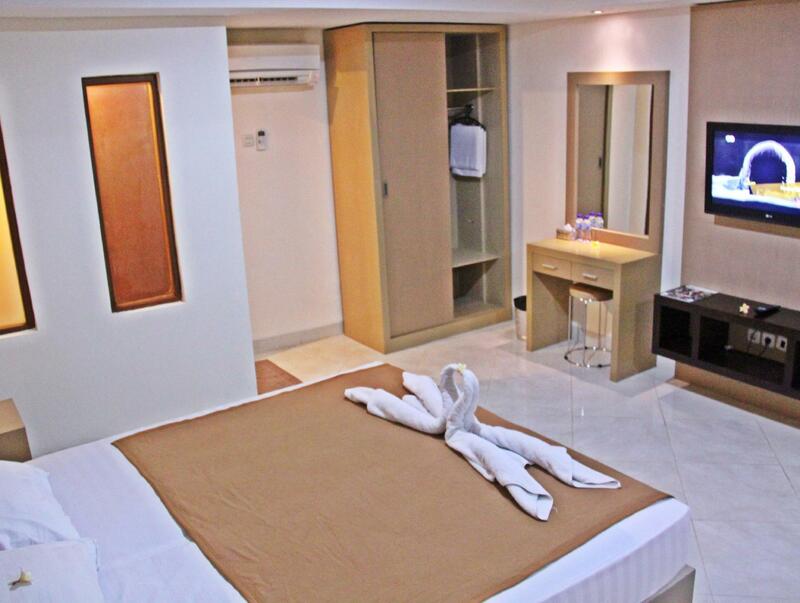 Spacious room, nice interior and located near lots of restaurants. 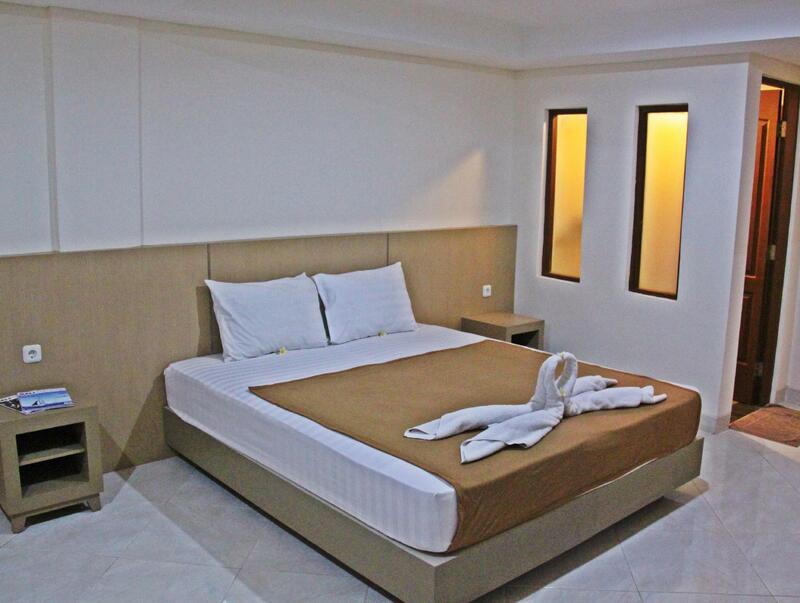 Luxio Hotel was located on Teuku Umar that has lots of shops and restaurant. However it's kinda hard to find the hotel because you have to go into a rather small alley. I have to go through the the street twice to find the hotel. The reception was quite bad as the receptionist confused with reservation using agoda.com. 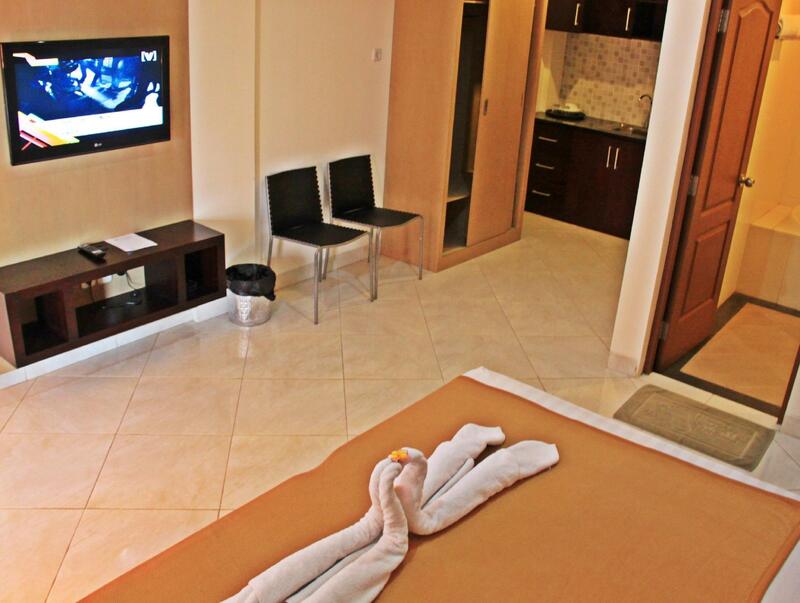 The room was really nice and spacious. It has a mini kitchen and lots of chairs. However the double bed was actually two single beds that was put together. When we slept on it, it often split apart in the middle. The so acclaimed satellite tv has only few local channels. The breakfast was packed and brought into the room with a bottled water. Packed breakfast, unlike buffet, when it has been delivered, the food has gone cold and soggy. But the worst part of my stay in this hotel was the cockroaches. I often heard rustling noises and it turn out to be cockroach lurking around the room.